Once known as the Temple of the Sun, Thor himself may have used this henge as a gateway to earth. The Ring of Brodgar is one of many mystery which rest along the northern archipelago of Scotland. Bonfire traditions offer children an abundance of folklore. Some may wonder if the magi Merlin had drawn his power from the secrets within. If one thing is for certain, shivers would have been sent down the spine when dragons appeared lurking in the mist. Picts would have stood in awe to witness Vikings crash the shores of the Orkney Islands. Home to Neolithic structure, ancient mystery, and the most feared barbarians to ever walk this earth, the Orkney Islands do appear to be a place of wonder. 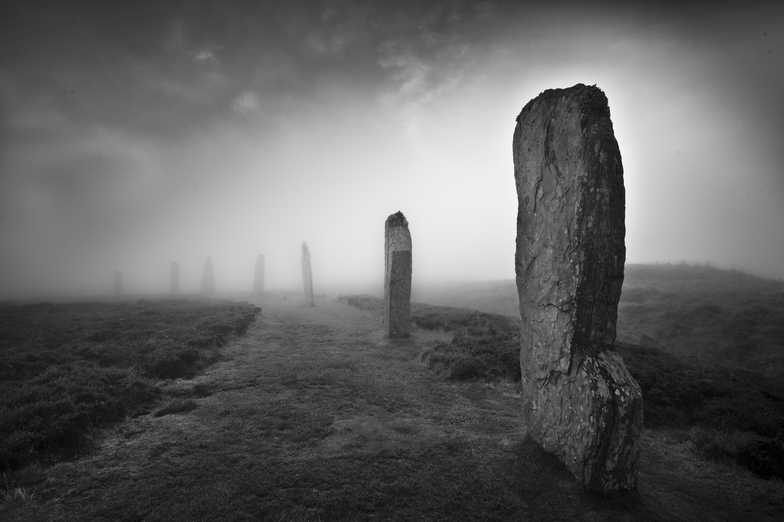 Also noteworthy, Orkney holds a key to a modern day mystery. Scotland, specifically the Orkney Islands, has the highest rate of multiple sclerosis in the world. One in 170 women will succumb to this demyelinating condition. Even more disturbing, the rate of incidence is rising. One cannot imagine what a father is to say should his little girl look him in the eye and ask, will this happen to me? Residual effects from training exercises on the Faroe Islands taught us that gas is extremely dangerous. Maps, which supersede any data point in the advanced economy, illustrate the use of pesticides on crops have left nothing but a trail of devastation. A cool temperate climate does offer Orkney some of the most fertile topsoil on the planet, although this would not explain why the recent spike measured so high. Could there be something else that Scotland introduced into the environment, perhaps a new technology to harvest marine life from the sea? The reason why women are diagnosed with multiple sclerosis at an earlier age than men, is because the central nervous system develops faster in girls than it does in boys. Myelination of axons is a natural process, however, it will slow into maturity. Should you continue to subject your children to fish doused with toxic chemicals, the toxins will accumulate in their body, and will dissolve into their myelin sheath. Now that we have an understanding, how does eating tainted fish trigger multiple sclerosis? Toxic chemicals accumulate in the fat of the fish. Once you digest the fish, it will break down, and the toxins will be released into the bloodstream. From this point, you may follow the demyelination process. 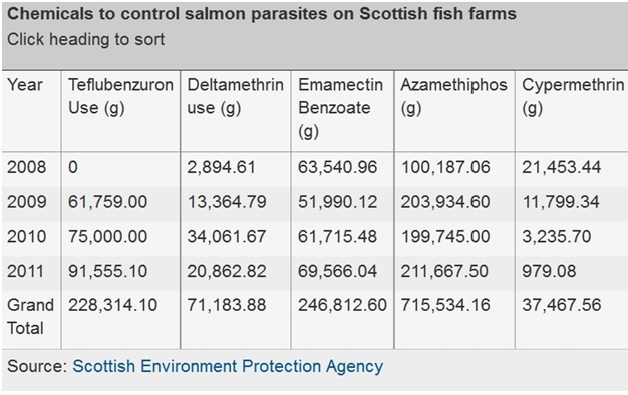 The first thing you are to do is cut farmed fish from your diet. The second thing you are to do, inform your child that multiple sclerosis is not genetic. Should anyone tell you there is something wrong with your child either biometrically, or genetically, you are to reassure them that about the only thing they are genetically susceptible to, is a fool with a bag of chemicals. We have to be very careful suggesting genetic susceptibility. When eyes of maternal instinct overshadow beauty, irrational decision can be made, even if it may be viewed as, admirable. As wonderful as it would be to stand corrected, nothing can remove these toxins once settled in fatty tissue. Used in fish farming, teflubenzuron is a benzoyl-urea pesticide. Extremely toxic and easy to purchase, this potent inhibitor was designed to attack the nervous system of sea lice. Observing its use on the Orkney Islands, it proves to replicate the same effect in humans by narrowing the veins, scarring the myelin sheath, and disrupting the central nervous system. This is why the CCSVI procedure is so important. Reopening of veins will allow for proper blood flow, flushing out inhibitors and reducing further damage. Much to the dismay of many, CCSVI continues to be denied by governments within our global community. For those living on the islands which had their Vitamin D measured. Upon return of results, should your status have measured low, then it would be best to cut all fat from the diet. Naturally not all farms use persistent toxins, however, precautionary measures are to be taken and you will need to remove toxins that have yet to settle in fatty deposits. A homeless man, named Greg, once told me liquid from a can of green peas is offered to those who suffer from addiction in order to detoxify. This may not be the best practice and to be quite Frank, sounds gross. If it is true that Europe has banned the use of pesticides on crops, with the exception of France, and your definition of organic means, “without chemical,” then a strict diet of fruits and vegetables will be sufficient. This diet will be followed indefinitely, or until those who have tasked themselves with providing understand the use of neonicotinoids, and any other form of filth, will not be tolerated in the 21st century. To further awareness, the fourteen chapters of, “Our Stolen Future” read like a mystery and will cover everything in the food chain from persistent toxins and cancer, to sexual orientation defined by estrogen mimics in the womb. Unfortunately such books are not taught in schools as that would undermine the current platform of abundance. Therefore, it will be on you to find a copy. If your children do have an aptitude for science and wish to delve further into multiple sclerosis, they may use the links below. Should they continue with it, they are more than welcome to correct any inaccuracies found in these pages. I can assure you, there is nothing more I would love than to be humbled by a child. It would prove we are on the right trajectory. What must always be kept in mind, when patients are diagnosed with multiple sclerosis, which is brain damage through no fault of their own, it is a life altering event. For women, some may cut long hair short, as it is no longer manageable. Shoes will no longer light a spark in their eye, as high heels will never be worn again. Makeup will be thrown away if it can no longer be applied. Some may hide from their husbands once injected with testosterone, and others will be left without the feeling of desire, when a flirtatious eye is no longer drawn to a hand holding a cane. Caring for the ill is a practice, often a selfless act to be governed with dignity and with grace. The reason for this, of course, is to ensure we do not have future generations which make reference to disease as a, franchise.